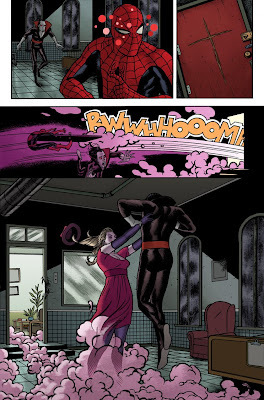 Joe Quinones' interweb-log: Amazing Spider-man #622 - IN STORES NOW! 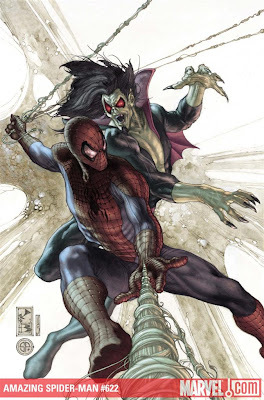 Amazing Spider-man #622 - IN STORES NOW! So this just came out today. 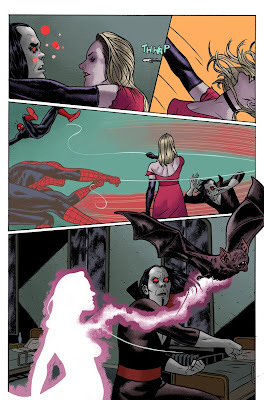 Inside is a 12-page story drawn, inked and colored by me and written by Fred Van Lente. There's a second story by Luke Ross also inside with a cover illustrated by Simone Bianchi (above). Here's a couple more teaser pages from my contribution. Enjoy! Really great work Joe, I love the way you draw Spider-man. The design of the Spidey covers have also been really nice. Awesome, work here! I'll be definitely visiting the blog again. picked it up today, nice work. one question, was your interpretation of morbius based on present day nick cave? Mr. Daley - My Morbius wasn't based on this "Nick Cave" you speak of, but good grief, it might as well have been. Look at that resemblance! Really cool stuff! Very dynamic scenes. found your blog through Paolo's, you two are great!